After three days of testing, the first important appointment of the 2017 season completed today for Team SUZUKI ECSTAR with crucial information from Andrea Iannone and Alex Rins gathered for the future developments. Iannone’s focus for today was to work on the race pace and the 1:59.452 he did yesterday puts him second overall in the combined classification of the test. Rins’ performance today was faster than yesterday with a 2:00.057 that puts him in 12th place in the combined classification. 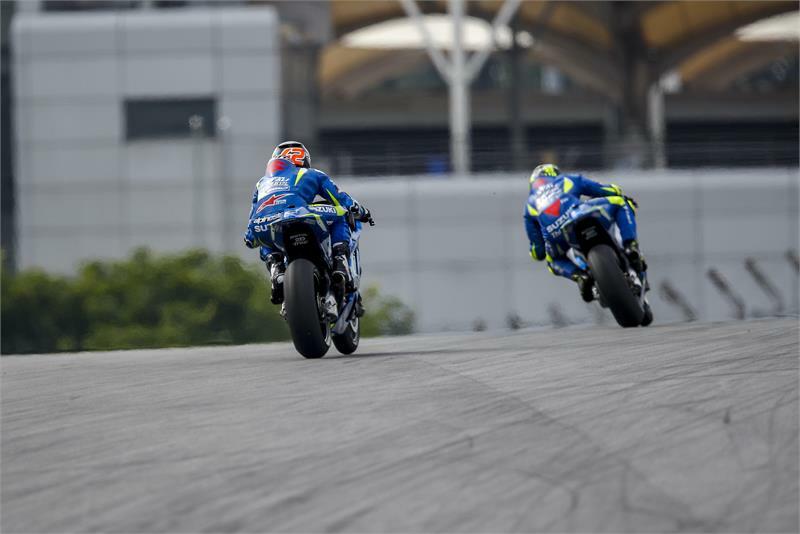 The three-day session saw the introduction of new improvements developed during winter and verified their efficiency; and the outcome is very positive, with both riders comfortable and confident with the new specs of the engine and chassis.